+ PRO: Added key and tempo to history export. Added header row in exported file. Today we have released Siglos 1.2.99. Most notable change is history export in Siglos Professional. In both (Pro and regular) we have added small change to MIDI playback. Siglos Pro 1.2.98 has been released and finally has Instant Sounds included. It is a new window that can be opened from Rotation dialog box and allows to assign sounds to ten programmable buttons. Sounds can be separated into banks, each containing ten files to play back. We have added ten pre-programmed sounds, including cheers, applause, boos, and couple of other. We have discovered that some discs did not convert correctly in Power SCDG Ripper. Version 1.0.2 released today should fix this problem. For the last couple of days we have been working on Siglos Professional to add extra compatibility when displaying video files. One thing especially has been worrying us — the videos sometimes did not get stretched to full extent of the screen. And I hear that we this solved, so look out for a new Siglos build next week. 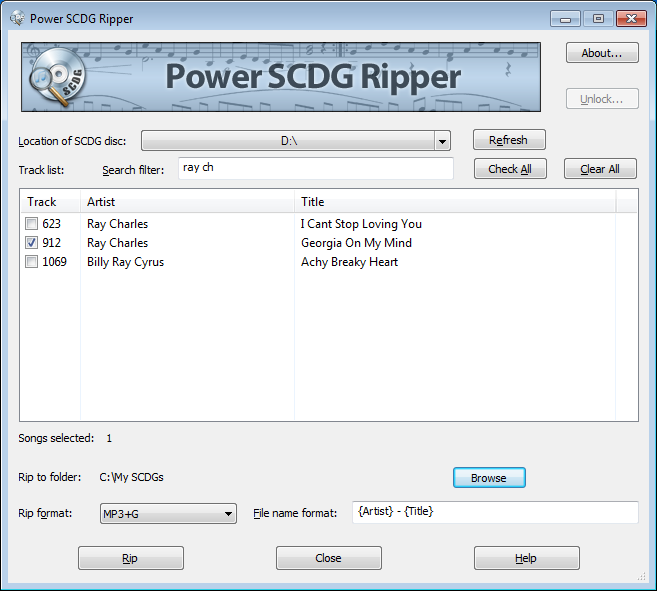 Power SCDG Ripper costs $29, and as usual current users get $10 discount. 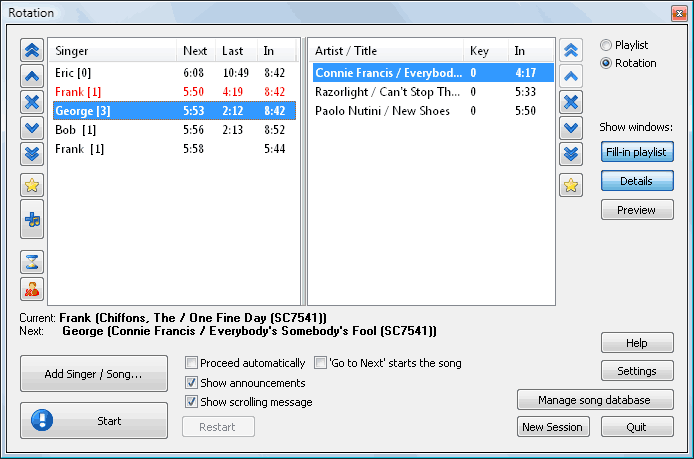 Power CD+G Burner in version 1.7.1 received whole new functionality — karaoke file converter. 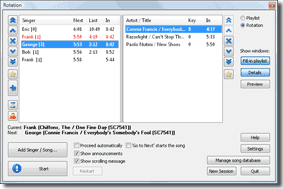 It allows to convert between various karaoke file formats. Power CD+G Burner automatically detects input format based on file extension. It is possible to convert single files, entire folders, or folder trees. Power CD+G Burner can retain original folder structure, which is especially helpful when processing large song collections. Finally! Siglos Karaoke Professional is ready. Get the control of your karaoke show! Siglos Karaoke Professional is a KJ assistant that will make your shows better and easier to run. Use you computer to run your karaoke show. Stop carrying hundreds of discs, risking their damage and loss. Play CD+G discs — if a singer brings his own CD+G disc, just place it in the queue and insert when prompted — the show will go on. More info on the Siglos Karaoke Professional product page.